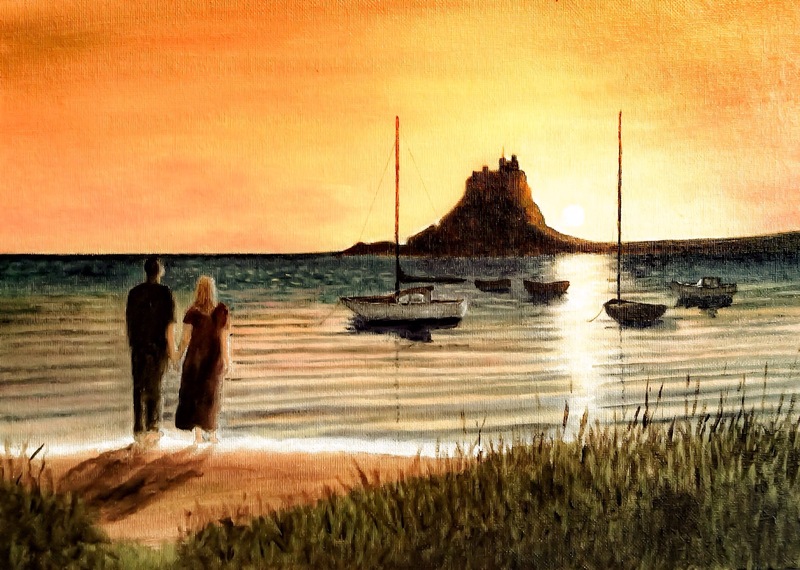 This entry was posted in North East England and tagged beach, couple, lindisfarne, oil painting, seascape, sunset by richardhartjacksonart. Bookmark the permalink. Interesting place, you really captured the evening light well.